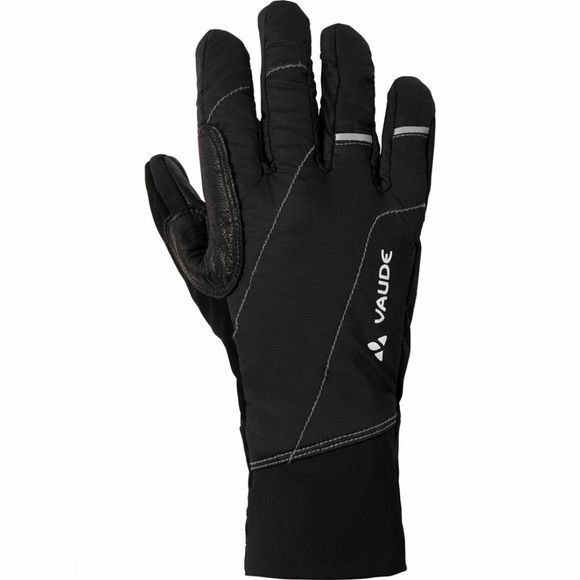 Intelligent insulation down to your fingertips: gloves lined with innovative Polartec Alpha for athletic ski tours; palms made from premium Pittards leather and PrimaLoft Gold Insulation Eco with Grip Control. PrimaLoft Gold Insulation provides cozy warmth and ideal moisture transport. The Bluesign standard guarantees environmentally friendly materials. Palms made from premium Pittards leather offer an excellent grip, while the extremely breathable Polartec Alpha provides cozy warmth for the backs of your hands. The Bluesign standard guarantees environmentally friendly materials. This product features Eco Finish, a flourocarbon free (PFC-free) textile finish that provides environmentally friendly water repellency.